Image taken Puxi side of Shanghai, China. 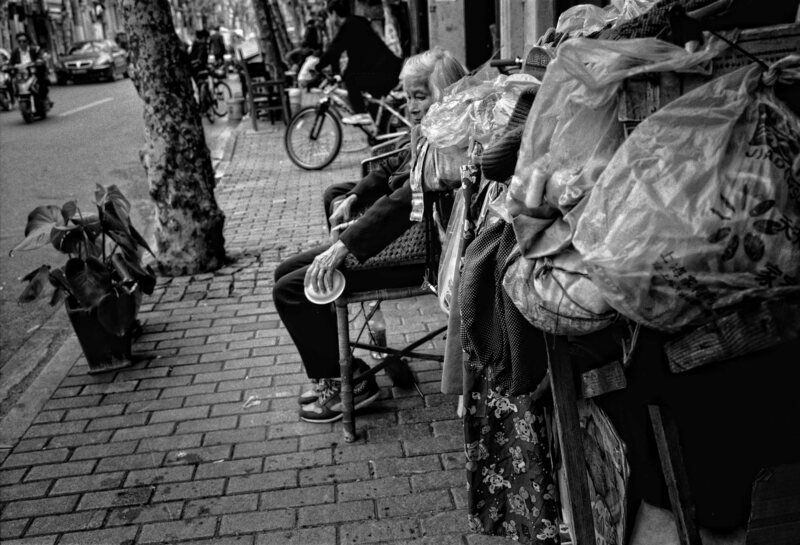 The look on this old ladies face says it all, she sits here day in day out collecting and selling second hand items of clothing, she has her empty rice bowl in her hand her drink by her side and her knitting to pass the time away underneath her chair. The fast pace of change continues around her, leaving her behind to ponder her memories of time gone by! Image taken with a Leica M6, 35mm Zeiss Lens, Ilford 400ISO Pan Film.